A classic t-shirt is always a good thing, but there are times when life calls for something just a little bit, well, more. Like chic cap sleeves, a beguiling texture, and a dazzling color… Not to mention the wonderful satisfaction of having made it yourself! 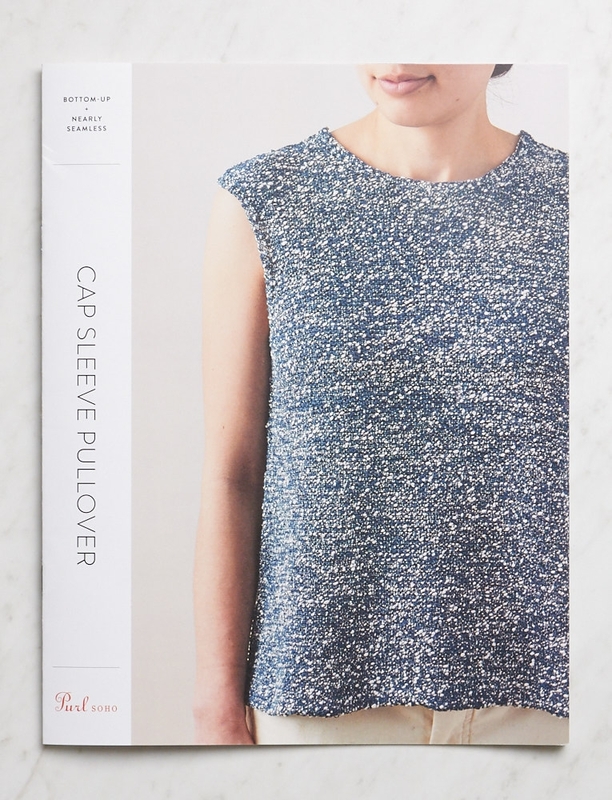 For this there is our warm-weather Cap Sleeve Pullover! Designed for a just-loose-enough fit, its beauty belies how super easy it is to make. 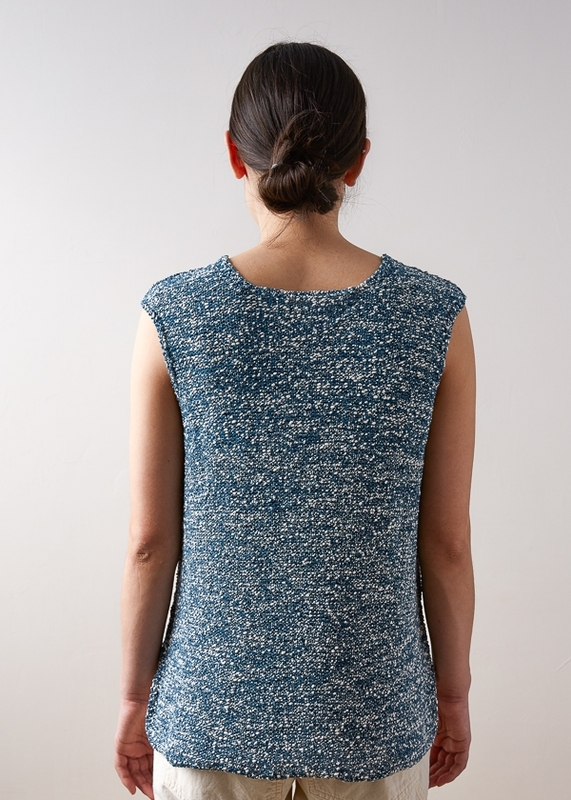 Starting at the bottom, you work separate hems for a slightly longer back one, then join in the round for the body, separate again at the underarms to work the front and back, then join again at the shoulders with one simple seam. And what is that insanely beautiful texture?! 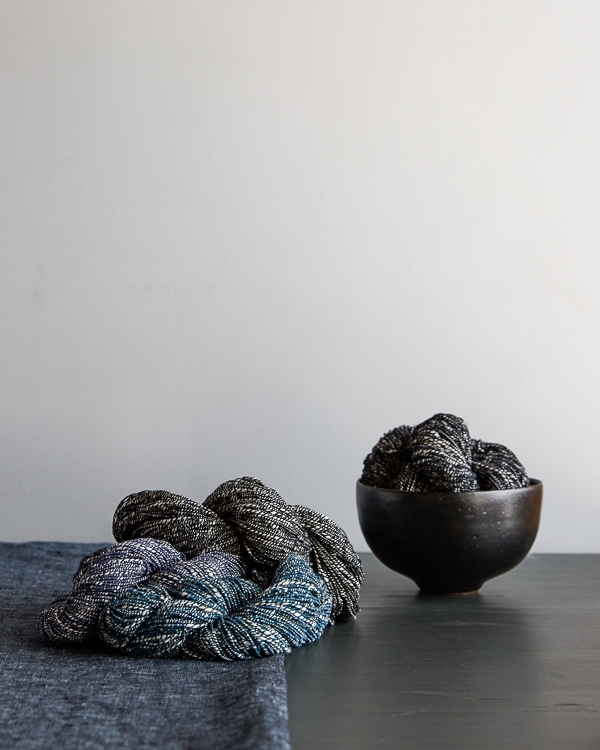 That’s also simple and totally provided by our newest yarn, Lantern. Like a thousand points of light, its white cotton core peeps out from the linen thread that wraps around it. 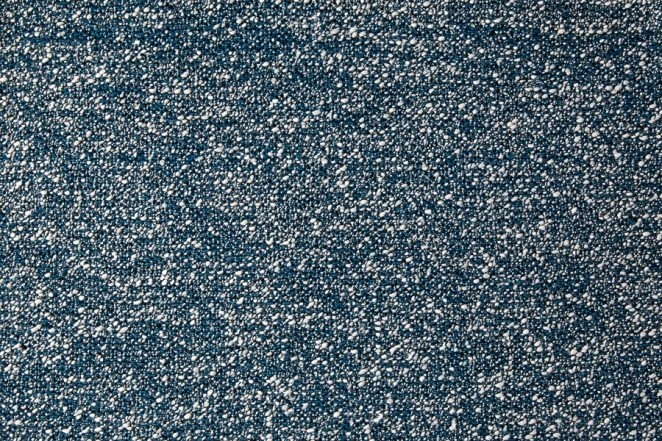 In this Bluegrass Blue color, it’s like wearing the sparkling ocean! If that’s not enough to get you started, consider how little finishing this gem requires. 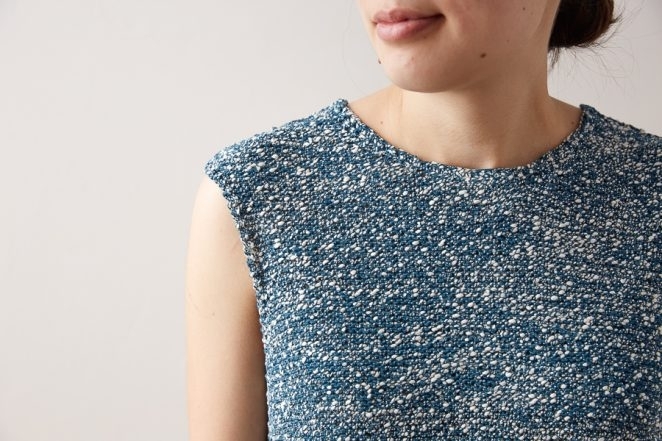 Just one seam, a cool inside-out one, at the top of each shoulder and a pick up and bind off finish for the neckline and armholes. Summertime perfection! 4 (5, 6, 6, 7, 8) skeins of Purl Soho’s Lantern, 61% cotton and 39% linen. We used Bluegrass Blue. 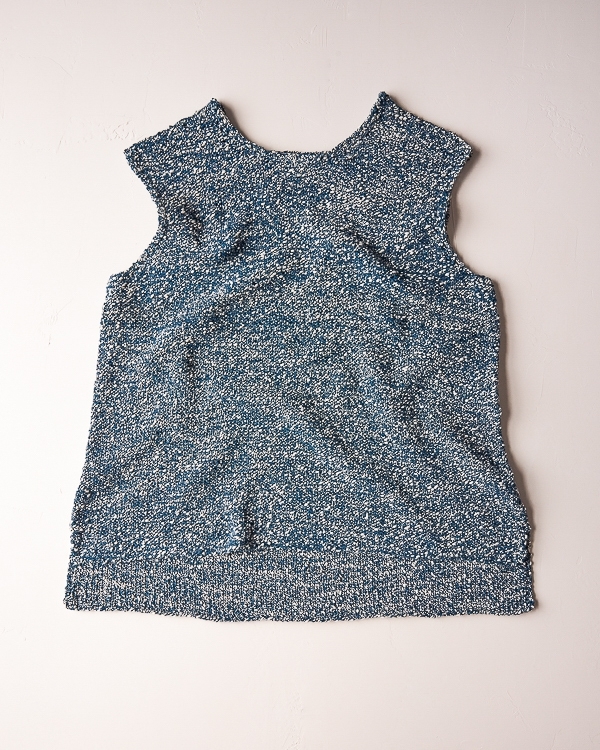 SAMPLE: The sweater pictured here is size 35¼ with 1¼ inch of ease. Would adding sleeves work? I have yet to buy the pattern, so don’t know how the underarms are worked, but is there another pattern I could meld to this for sleeves? Thank you for reaching out- what an exciting idea! 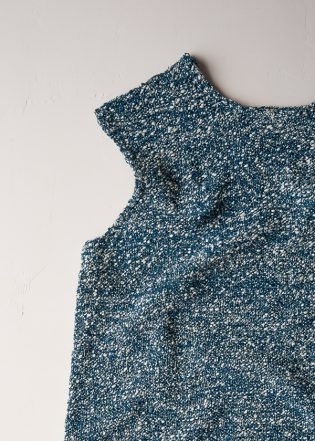 You could certainly experiment with picking up stitches around the armholes and then decrease as you go down. 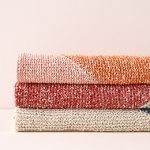 You might have to do a bit of experimenting to figure out how many stitches to pick up and how many decreases to make. Let us know how it goes and Happy knitting! How easily could this project be lengthened? I love the simple design but I’m over 6 feet tall and would probably need to add 4-6 inches to the length. Thanks for writing in! It should be quite easy to add more length before beginning the armholes – at that point you will be working in the round, so you can continue until the top is your desired length. I would recommend purchasing at least one extra skein of Lantern so you don’t run out! Can you tell me what stitches are used for this pattern? Would you rate this Beginner or Intermediate in complexity? Thank you for reaching out! I would categorize this Pullover as advanced beginner. It is knit in the round in Stockinette Stitch, but also uses Short rows and lifted increases. The Lantern yarn is really beautiful. What other yarn would go well with this pattern if I am not ready to try the Lantern yarn yet? Thanks for reaching out! Lantern is very unique yarn in terms of construction and texture so your results might turn out a bit different with a substituted yarn; however, if you would like to try out the techniques in the pattern, I would suggest either Blue Sky Worsted Cotton or Cascade 220 as they match the gauge of Lantern! What level of difficulty would you classify this project? This is a great question! I would say this would be appropriate for an advanced beginner. 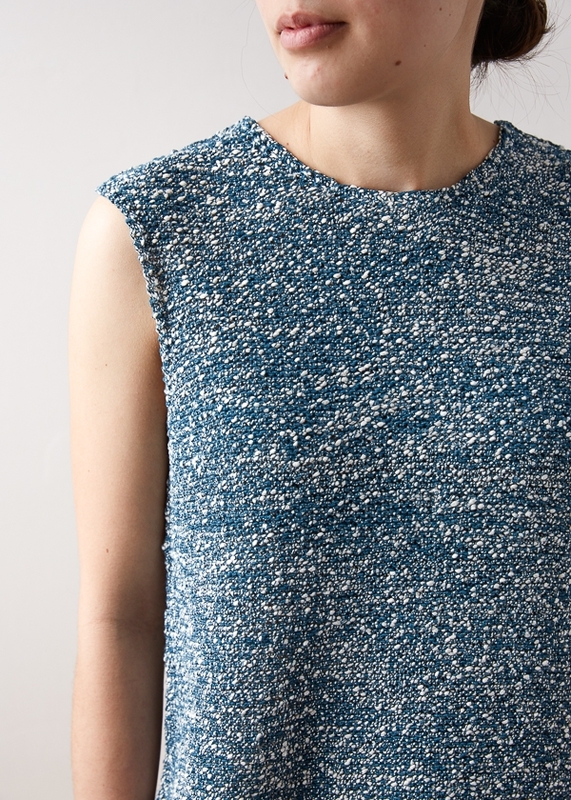 The body is knit in the round in stockinette stitch. This pattern also uses short rows and lifted increases. This is stunning. To fit me I would need to CO a size Med (43) and increase to XL (51)for chest – should I order 6 skeins or 7? Thank you so much for the kind words! To be on the safe side, I would recommend purchasing 7 skeins. If you find that you don’t need the last skein, any unwound yarn can be returned for store credit! 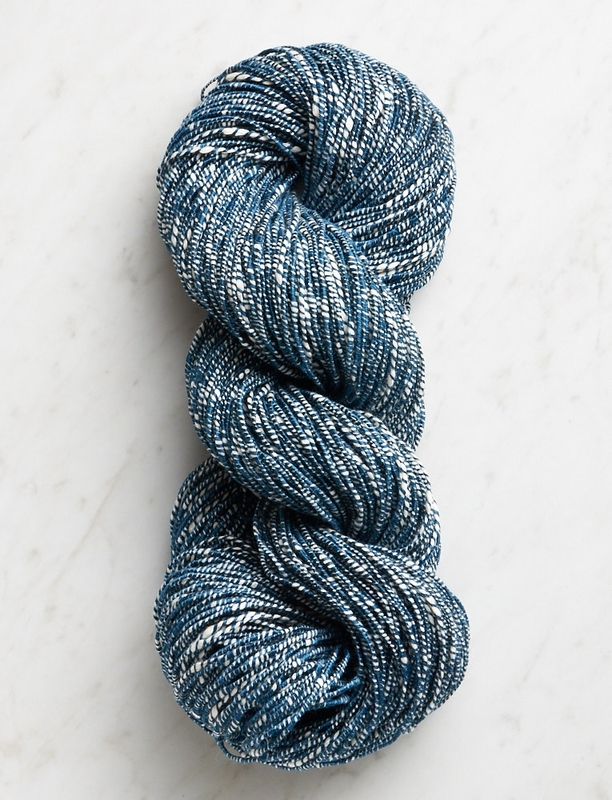 I love the look of this yarn. It arrived and just as pretty as I have seen. I have made a swatch. I have knit several inches of a dishcloth. This is the worst stuff I have ever had in my hand ……. The pattern is LOVELY ….. the yarn is horrible. 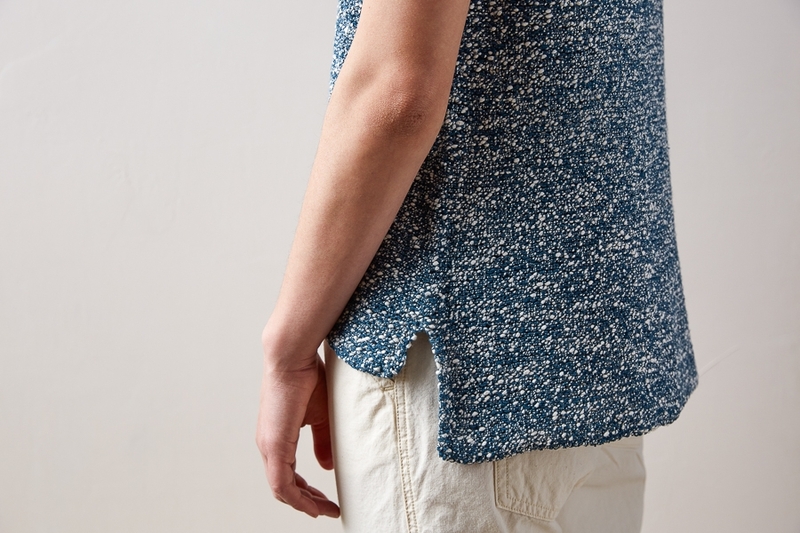 The knit fabric feels like ASPHALT. I often buy 1 skein to see how I like a yarn that I am not familiar with, really glad I did. This is not anything I would ever wear on my body. I will make a few really good looking, handsome, dish clothes. Thanks for reaching out! This yarn is cotton wrapped with linen and the linen is a bit coarse to the touch at first. However, I have found that, like any linen yarn, as I use and wash my finished item it softens up quite a bit. If you haven’t already, I would suggest washing your gauge swatch before deciding, but we do think Lantern makes really lovely useful dish cloths as well if you prefer! The PS yarn description says to expect 2% shrinkage. Sounds as though the fabric just tightens up a bit after getting wet and then drying. 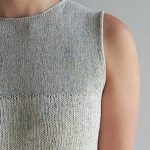 Is that what Purl Soho experience for this particular garment? I am trying to decide whether to stay with the smallest size, move up to the next size or alter the pattern for somewhere in the middle. Thanks for reaching out! The best way to decide would be to launder your gauge swatch the same way you intend to launder the top – or perhaps, if you are willing to take a bit of extra time, knit two swatches and hand wash one and machine wash and dry the other to see which fabric you prefer and if your gauge has changed after washing! The fabric will tighten up a bit with machine washing and drying, but will also become drapier which may affect how much ease you want in the finished top. It seems like a lot of work, but it will be the best way to ensure you will be happy with your finished garment! Hi there – The pattern is lovely! I understand that it is written for the purl side to be worn facing out. What amendments would I need to make so that the knit side is worn facing out (ie, the knit side is the right side)? Hope the changes are not too complicated and thanks in advance. Thanks for writing in! Fortunately, this is an extremely easy modification! 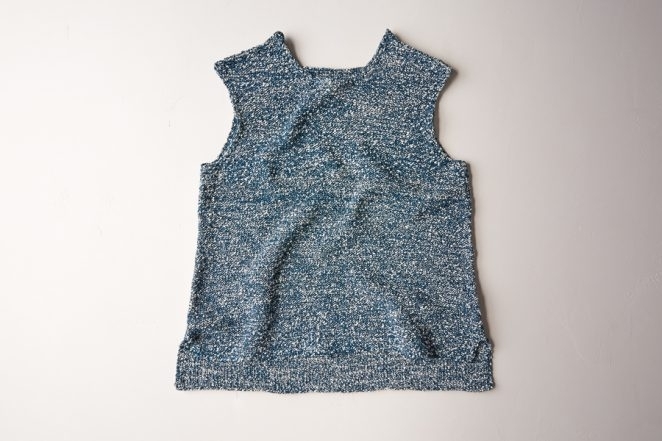 We knitted the top inside out since most people prefer knitting over purling, so you will have the “wrong” or knit side facing you throughout the project. The only visible seam is the Modified Three Needle Bind Off, which is demonstrated in the second half of this tutorial, worked for the shoulder seam, so you will just work that with the knit sides together instead of the purl sides. 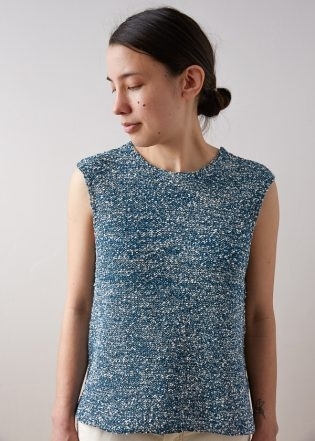 You may even find that the three needle bind off is unobtrusive enough that you are happy with the top either way and you can wear this as a reversible top! Gorgeous yarn! I’ve just cast-on for the back. The pattern suggests alternating skeins every round or two to avoid pooling, and the suggested technique involves carrying the yarn up the wrong/purl side of the piece as it’s being knit in the round. 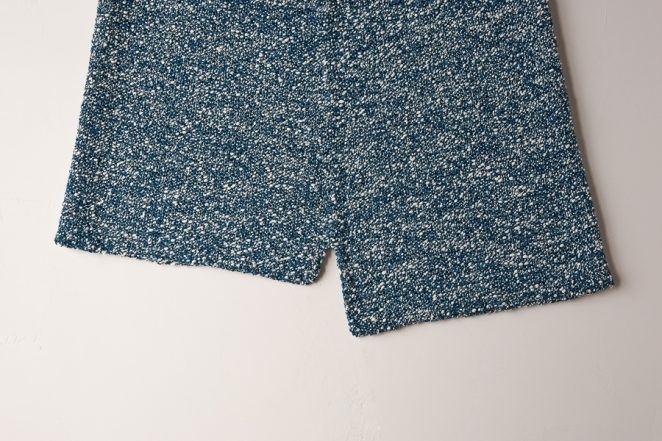 But the sweater is worn with the purl side facing out. 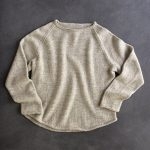 How did you avoid the line that forms up the garment from the carried yarn? 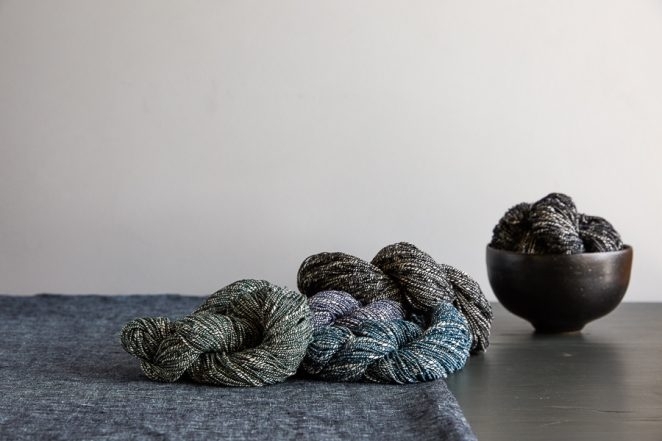 If you didn’t avoid it, can you suggest where to make the switch between skeins so as to keep the line straight? Thanks! This is a fantastic question! You are correct, because you are technically knitting the wrong side up you will carry your yarn up on the outside of the garment rather than the inside. I’m ready to cast on for this top! I’ve spend the last week carefully swatching and letting my swatches thoroughly dry as I’ve had to try a few times to get gauge – but I’m there! I did wonder though, which cast on method works well for this pattern and yarn? What cast on was used for the sample, if you know? Thank you for writing and congratulations on getting gauge! For this project I would suggest using a long tail cast on. I hope this helps and let us know how your project goes! Aloha! I’m a beginner-ish knitter, so please pardon my ignorance! In the body of the pattern where it says “knit 6 rounds even” does that mean knit all the rounds or do I knit one round, and purl next? Thank you! Thanks for reaching out, and we’re happy to help! This means to knit all rounds – at this point you should be working in stockinette stitch in the round, so you will be just knitting until you reach the armholes! Best of luck and please don’t hesitate to ask if you have any other questions! Thank you! 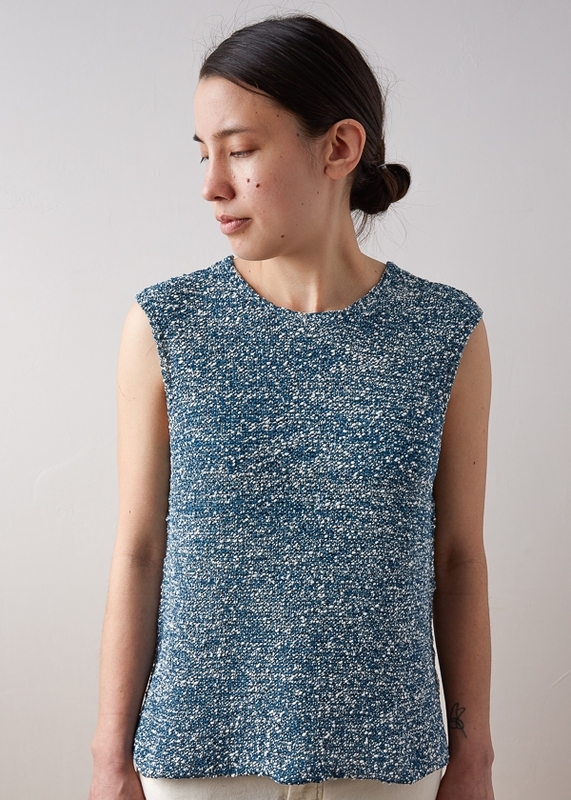 I’ve completed the hems and I’m looking forward to a beautiful finished shirt! If I am between the first and second smallest sizes. Which size would be best? Thanks for writing in! This is entirely up to you and how you would like the top to fit! I would suggest measuring yourself and comparing that to the finished measurements of the first and second sizes. Choosing a size that is 0-1″ larger than your bust measurement will result in a more form fitting top, while a size that is 1-3″ larger than your bust measurement will be a top with a more relaxed, loose fit. If you still aren’t sure you could always measure a top you already own that you like the fit of and choose the size with the most similar dimensions! I’m on the edge neckline and just not understanding what to do. Am I picking up a certain number of stitches? 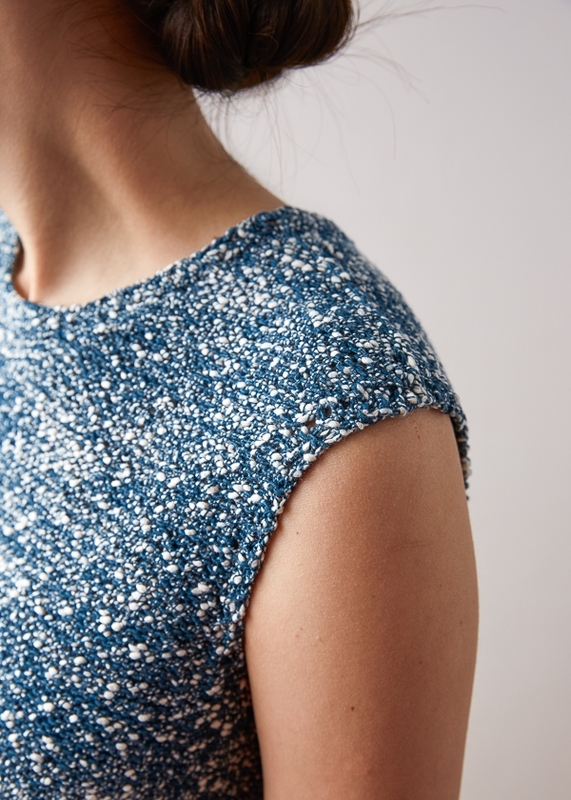 Is this a decorative finish to the neckline? The rest of the pattern went great and now just not seeing the finished neckline. Thanks for your help. Thank you for reaching out and congratulations on being almost done with your top! This finishing technique will just give you a nice clean edge along your neck line. Basically all it entails is picking up and casting off as you go, this is why you only ever have two stitches to picked up at a time. I hope this helps and happy cast off!